This is another one of those basic techniques that often goes unused. Follow our simple steps to poach an egg just right. Take a deep pan and fill it with about 10-15cms of water. Let the water simmer until there are steadily breaking bubbles on the surface, then add a splash of white vinegar. Swirl the water around with a spoon to create a vortex. Break an egg into a ramekin or cup and pour it slowly into the water, white first. Try to keep the lip of the ramekin close to the water to stop the egg from dispersing. Allow the egg to set around the yolk like a white pillow. The egg should float to the top when the white is set. Gently place the egg onto a paper towel to absorb the excess water before transferring to a plate for serving. Use the freshest egg you can find. The water should not be boiling, but more than simmering so that the movement in the water can be seen. 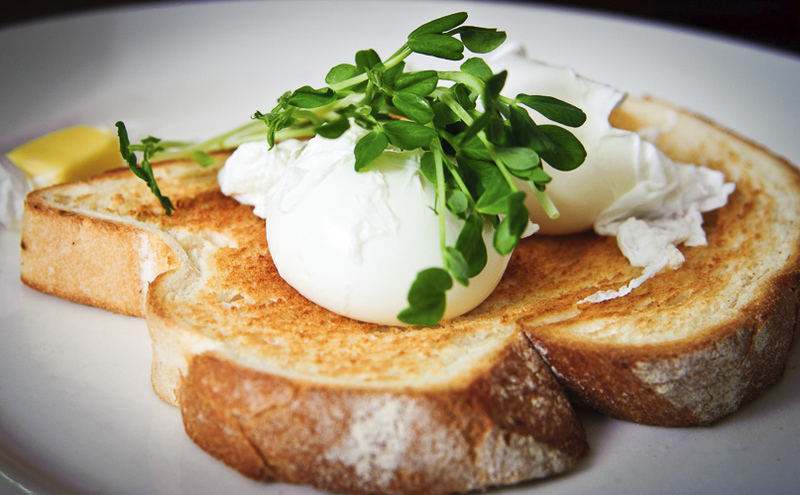 Poached eggs on toast are a great alternative to fried or scrambled eggs. They can also make a wonderful addition to salads or noodle dishes.